Linsanity just hasn’t been the same since Jeremy Lin left New York to go to the Houston Rockets in 2012 (yes, it’s been 4 years since Linsanity). On July 1st of 2016, the Brooklyn Nets brought Lin back to New York with a 3-year $36 million deal. 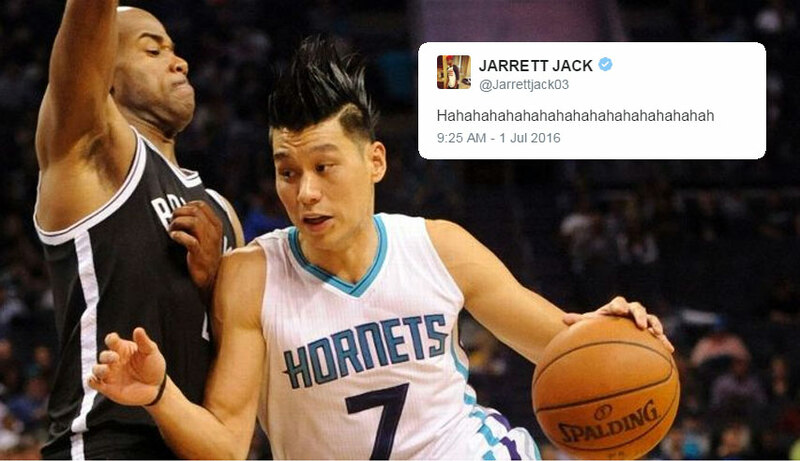 The $12 mil a year deal caused some buzzing (no pun intended) on the internet and one of the longest laughing tweets in the history of Twitter by former Net guard Jarrett Jack. The reason why he’s laughing so hard is because he was waived by the Nets less than 24 hours ago. Well, considering Jack’s subtweet happened within 25 minutes of Lin’s announcement, I, along with the entire internet, are assuming Jack was laughing at the insanity of the Linsanity contract. But who really knows, maybe it’s just a late laugh on the Mozgov deal. Jack is currently recovering from a torn ACL injury, hopefully he doesn’t hurt himself from rolling around on the ground.